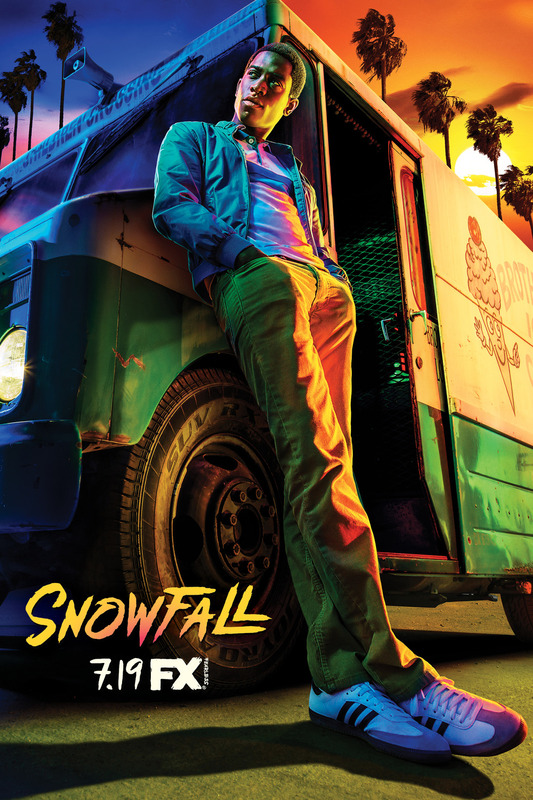 The second season of the crime drama series "Snowfall" premieres tonight, July 19, 2018, on FX at 10p. Created by Eric Amadio, John Singleton and Dave Andron, the series chronicles the early days of the crack cocaine epidemic in Los Angeles. The second season is set in 1984 and it follows Franklin Saint (Damson Idris), Teddy McDonald (Carter Hudson), Gustavo "El Oso" Zapata (Sergio Peris-Mencheta) and Lucia Villanueva (Emily Rios) as their lives intersect and overlap within the mosaic of Los Angeles. "Snowfall continues its riveting story about the infancy of the crack cocaine epidemic and its ultimate radical impact on the culture as we know it. Season two follows our ensemble of characters as they intersect and overlap within the mosaic of Los Angeles as we enter 1984, all of them working toward their ultimate goals of money, power and influence, including: Franklin Saint (Damson Idris), young street entrepreneur beginning to experience the perils of success; Teddy McDonald (Carter Hudson), a CIA operative who finds that his off-book drug-funded operation may be vulnerable from unexpected sources, both personal and professional; and Gustavo "El Oso" Zapata (Sergio Peris-Mencheta) and Lucia Villanueva (Emily Rios), the drug running couple who discover the potency of crack and try to exploit it, despite the new dangers involved."